The storage class in c decide the scope, lifetime and visibility of a variable. They precede the type that they modify. 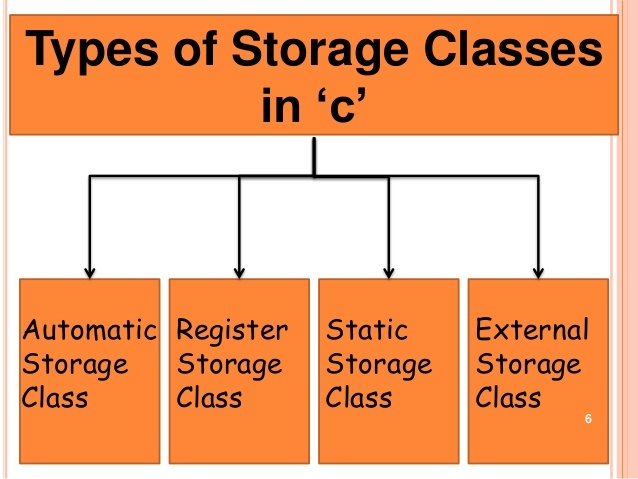 The specifiers which determine the type of storage classes in c are known as storage class specifiers. Now let's discuss each storage class separately. The auto storage class is the default storage class for all the local variables that means for all the variables which are defined inside a block or a function. These variables are also called as local variables because they get destroyed after the execution of the block. 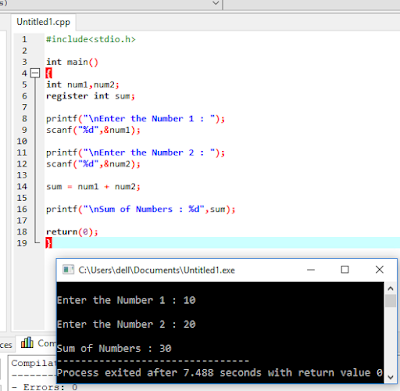 As the variables are created automatically, garbage values (could be anything) are assigned to them by the compiler. The keyword auto is rarely used while writing programs in C.
The values stored in register storage class is same as the value stored in automatic storage class. 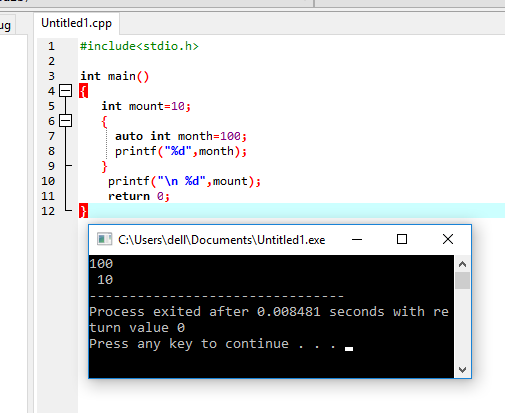 The values of register class get stored in CPU register instead of RAM for faster retrieval of values in program. Forex- counter lie values. The default value of register variable is the garbage value. It should also be noted that defining 'register' does not mean that the variable will be stored in a register. 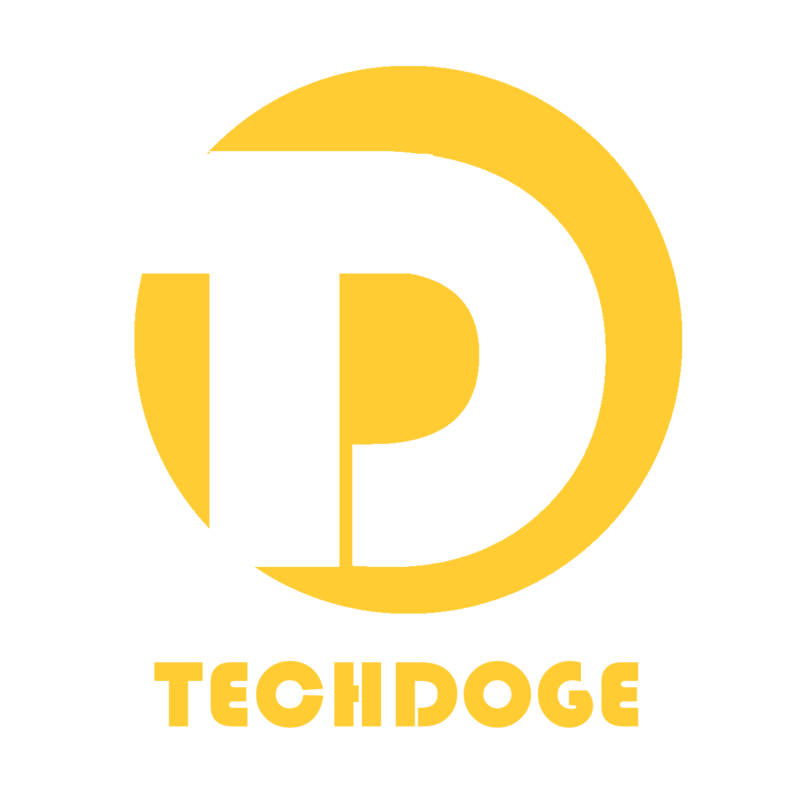 It means that it MIGHT be stored in a register depending on hardware and implementation restrictions. The scope of the variable will not be effected i.e. variable remains local to the block in which it lies. 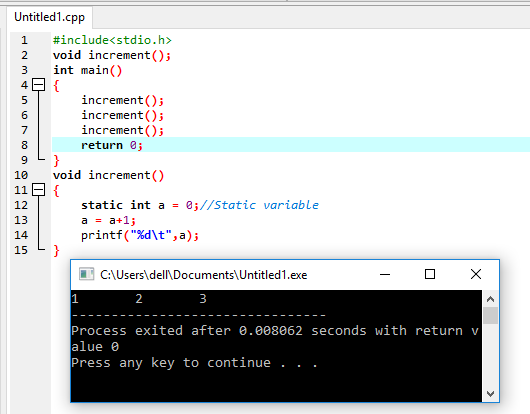 Therefore, making local variables static allows them to maintain their values between function calls. The extern storage class is used to give a reference of a global variable that is visible to ALL the program files. When you use 'extern', the variable cannot be initialized however, it points the variable name at a storage location that has been previously defined. 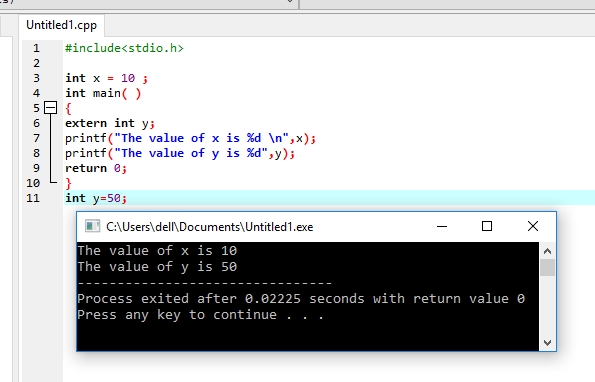 Default value of any external variable is ‘0’ (zero). Q1. What are the different types of storage classes in c? Explain each one of them. Each storage class can be asked by the interviewer separately. Q2. 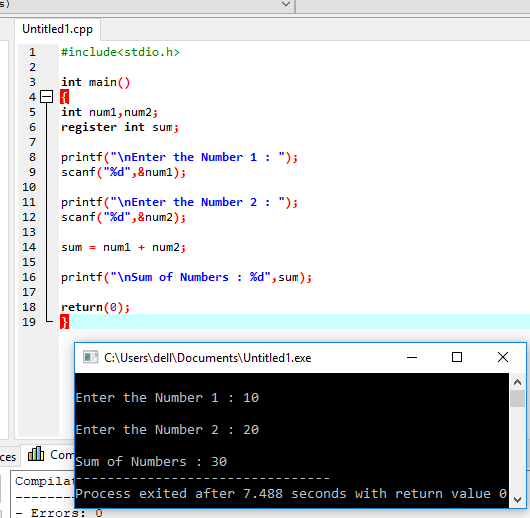 Output of following program?